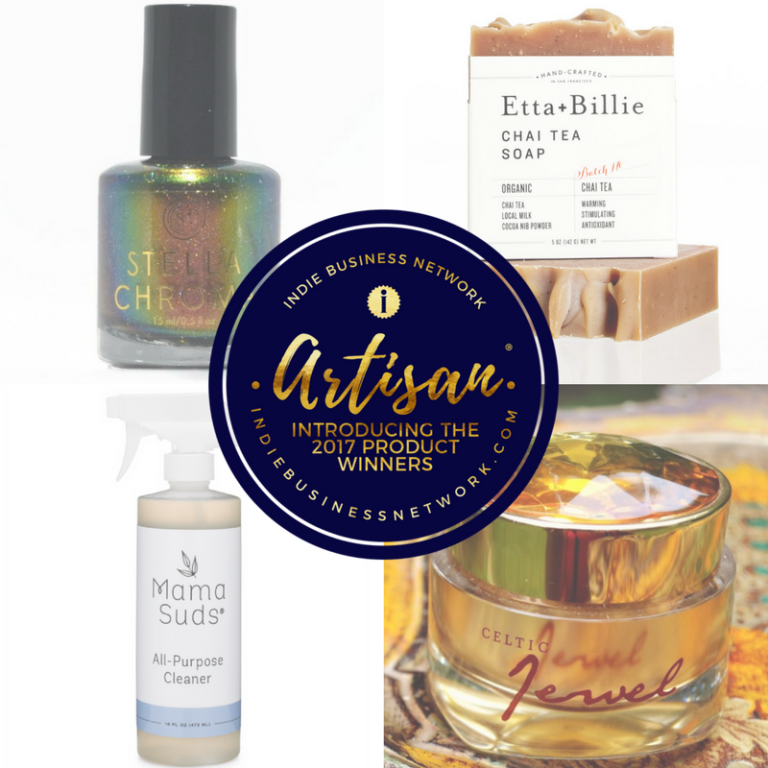 I Helped to Judge the Indie Business Network’s Artisan Product of the Year Awards – Discover My Faves! One of the best things about my career is that I get to discover so much that’s new and exciting in the beauty world. I love indie beauty brands so much, and I love seeing up and coming brands flourish in the marketplace! 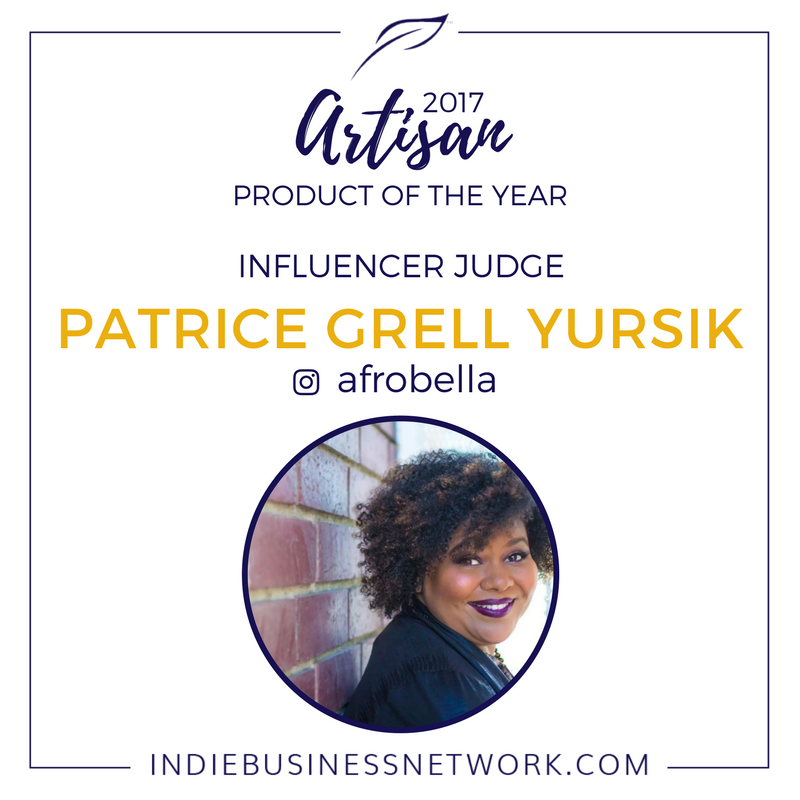 I was so honored to be asked to judge the Indie Business Network’s Artisan Product of the Year contest – click here to check out the winners! I got inundated with a fabulous package of indie bath, beauty and lifestyle products to review, from a bunch of brands I was largely unfamiliar with. I truly emerged from the experience with some new favorites and some real insight on what it takes to stand out in the indie brand market. I wanted to shout out the best of the best, the brands I discovered from judging the Indie Business Networks awards that I want you all to know about for yourselves! Stella Chroma, The Impossible Girl Nail Polish – I’ll admit, I’ve had hit or miss results with all natural color cosmetics. I’m looking for a product that performs and gives notable results. 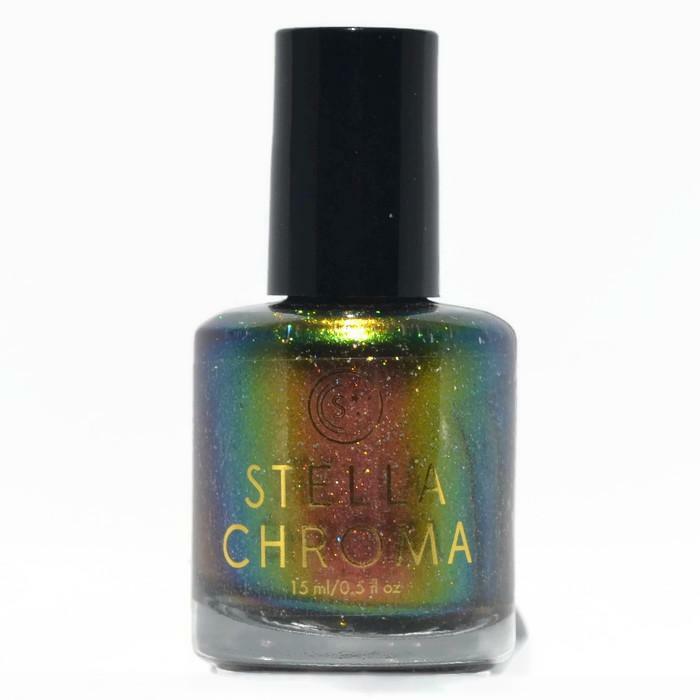 I’m here to tell you that Stella Chroma nail polish is a winner! I love the unique glitter and multi-chrome color of The Impossible Girl Nail Polish. It flashes red, green and gold holographic. LOVE! 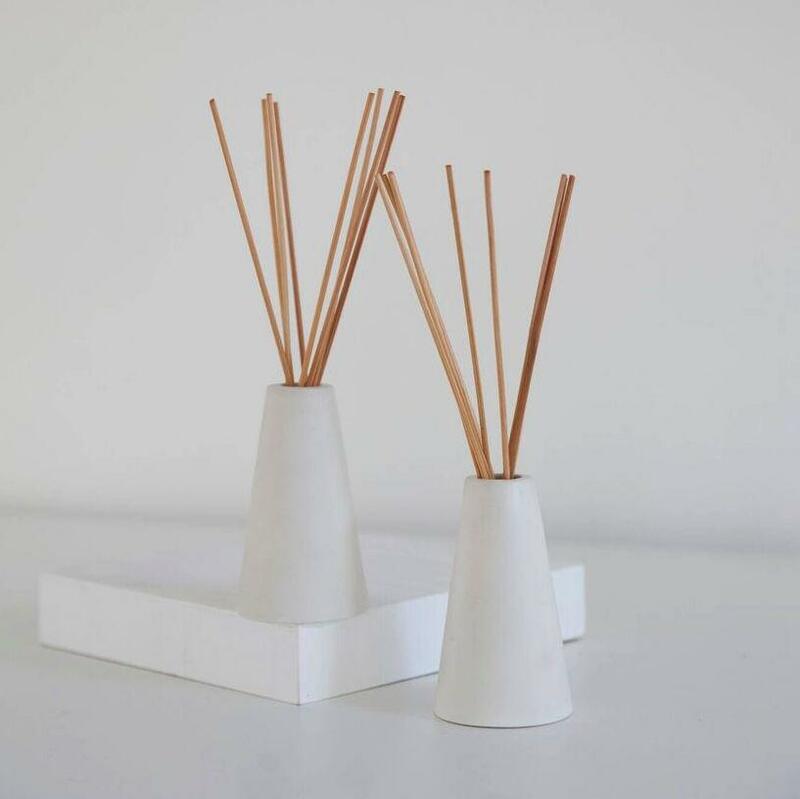 Standard Wax reed diffusers are so elegant and of such great quality. Plus the fragrance is supremely long-lasting. I received Citrus and Black Currant. Tobacco Rose also sounds amazing! 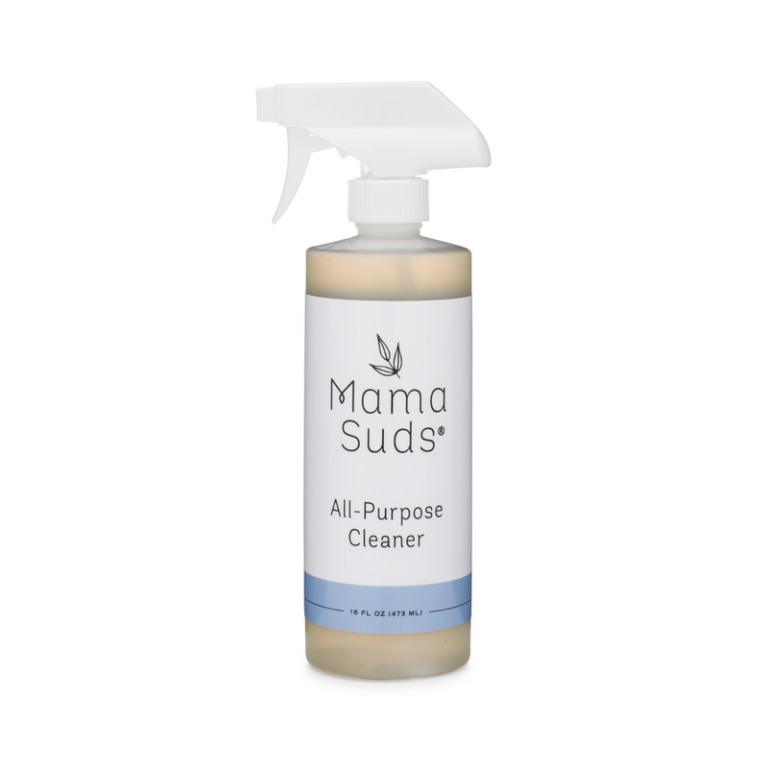 Mama Suds all-purpose cleaner is the household product I’ve been needing! Mama Suds is all about safe at-home use for people with pets and kids. They’re based in Goodrich, Michigan. Their all-purpose cleaner works on everything: sinks, countertops, doorknobs, stove-tops, garbage lids…the list goes on. And it smells great! 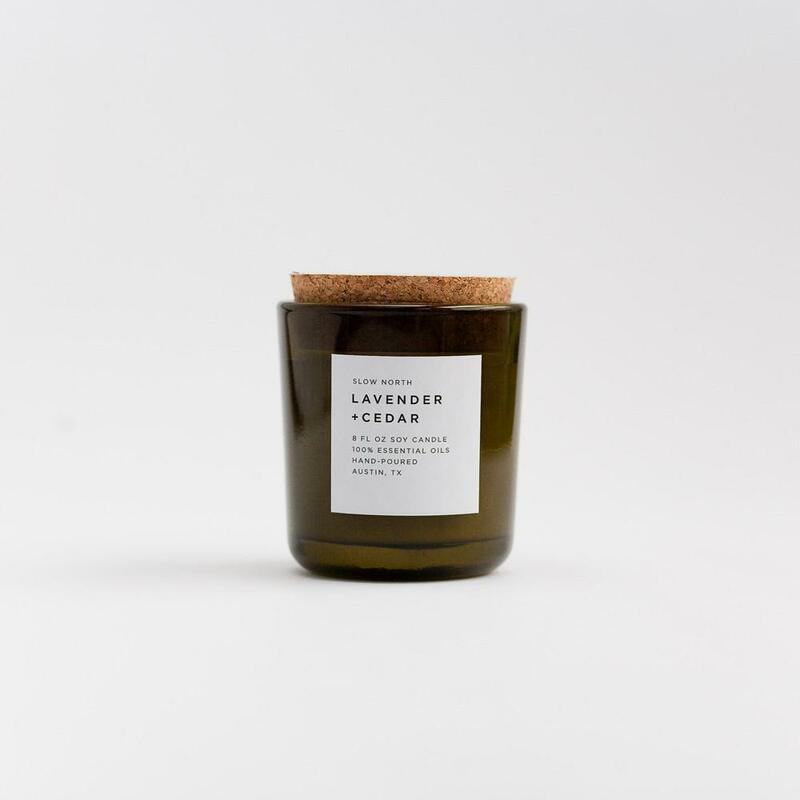 Slow North essential oil candles are the real deal – decadently fragranced, exquisitely packaged candles made from soy and 100% pure essential oils. You can smell the difference – I tried lavender and cedar and the combination is fabulous. Slow North also makes body products I’m dying to try! 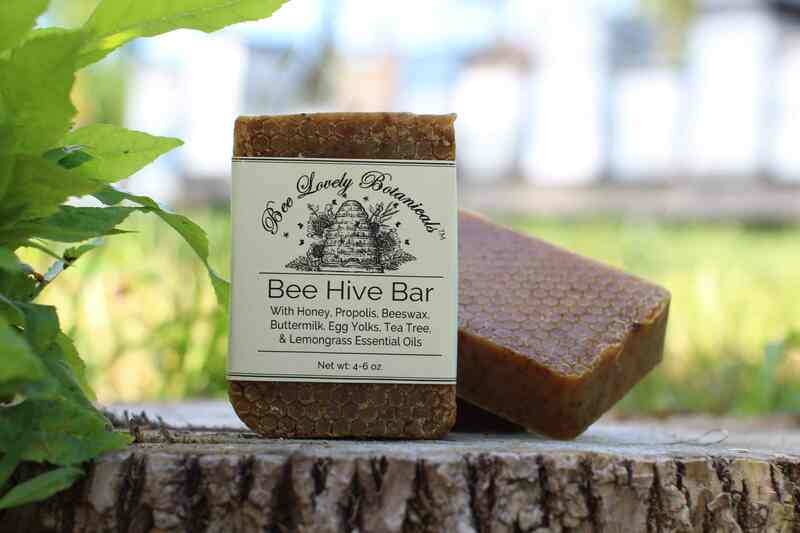 Bee Lovely Botanicals Bee Hive Bar soap – I love honey in all shapes and forms and I especially love it for my skin in cold weather. This Bee Hive bar soap smelled amazing and is basically GONE because my husband and I loved it for these super cold Chicago days! 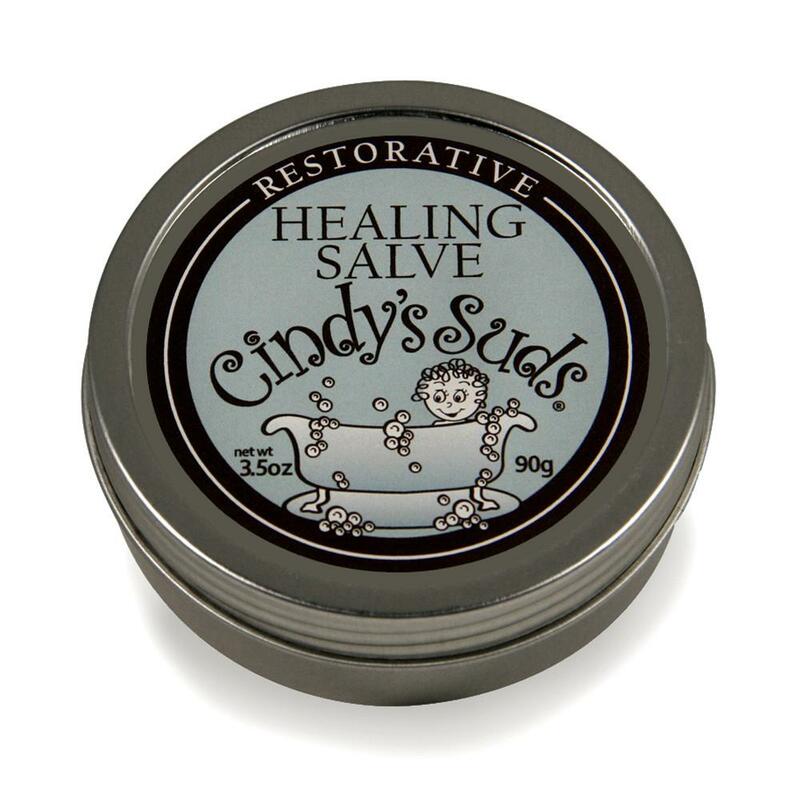 Cindy’s Suds salve — I am all about a multiuse salve or balm, and this one is truly excellent. It’s called Restorative Healing Salve, and it’s 100% natural. It’s a super soft, slick blend of olive oil, beeswax, shea butter, Vitamin E oil and lavender essential oil – think petroleum jelly, just more fragrant and with beneficial herbs and flowers. Intended for eczema, psoriasis, dry skin, rashes, insect bites, cuts and scrapes. 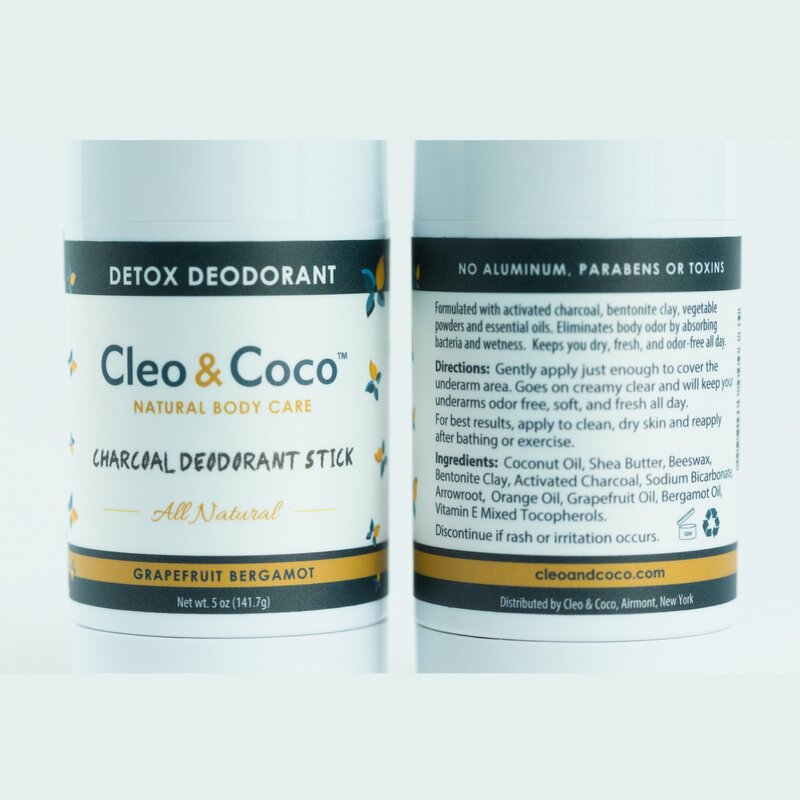 Cleo&Coco deodorant stick and Detox Dust – Let it be known, I’m highkey obsessed with charcoal. The packaging of Cleo&Coco products is so elegant and chic. And they’re all about the charcoal! I’m really loving their deodorant, it’s well put together and a solid stick for underarm delivery. Detox Dust is the baby powder of your dreams if your dreams include fewer chemicals and more charcoal! 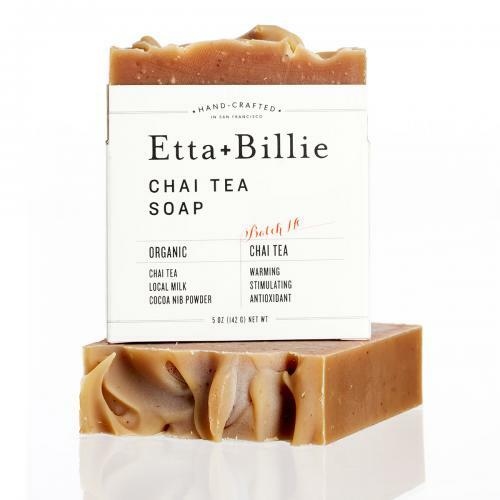 etta + billie chai tea soap — As a chai tea aficionado, I was prepared to judge this soap harshly. Instead, I immediately fell in love. It smells just like the chai tea concentrates. The fragrance is so warm and inviting, and the soap lasts quite a while! 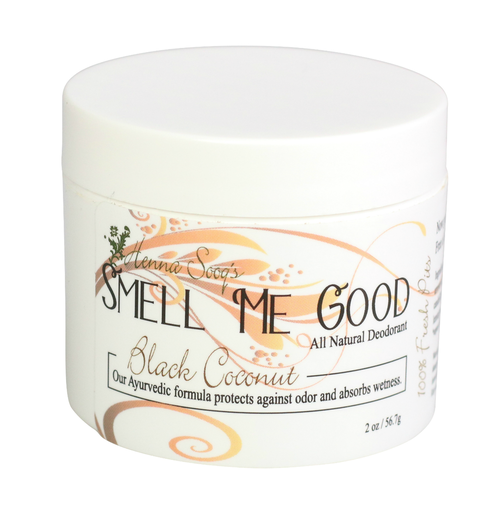 Henna Sooq black coconut deodorant — If you’re into healthy alternatives to traditional deodorants and you’re not opposed to a deodorant that comes in a jar, this could be a great find for you. I happen to love an all-natural deodorant that WORKS and so far, Henna Sooq is doing the trick. And it smells quite nice! Herban Roots insect repellent and deodorant – great packaging and highly effective products on this brand. We used this all-natural essential oil based insect repellent in Trinidad and it definitely worked for me. The deodorant is super smooth and works well. 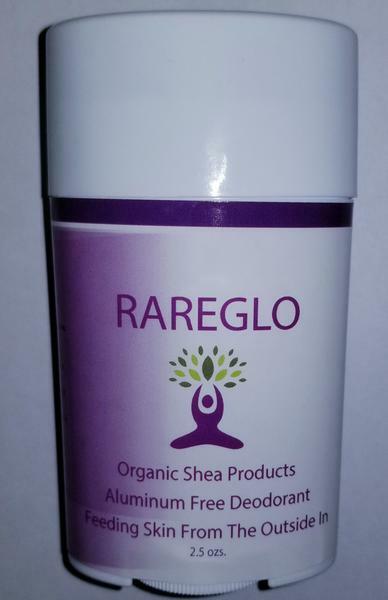 RareGlo aluminum-free deodorant — I debated including this as a “fave” because the presentation could use a bit of polish, but the product simply WORKS WELL. Especially if you’re concerned about your natural deodorant being aluminum-free, I’d say check this out. Please note it’s a bit runny/melty on application (and in the packaging), but as a no-frills natural deodorant I’d rate it as quite effective. 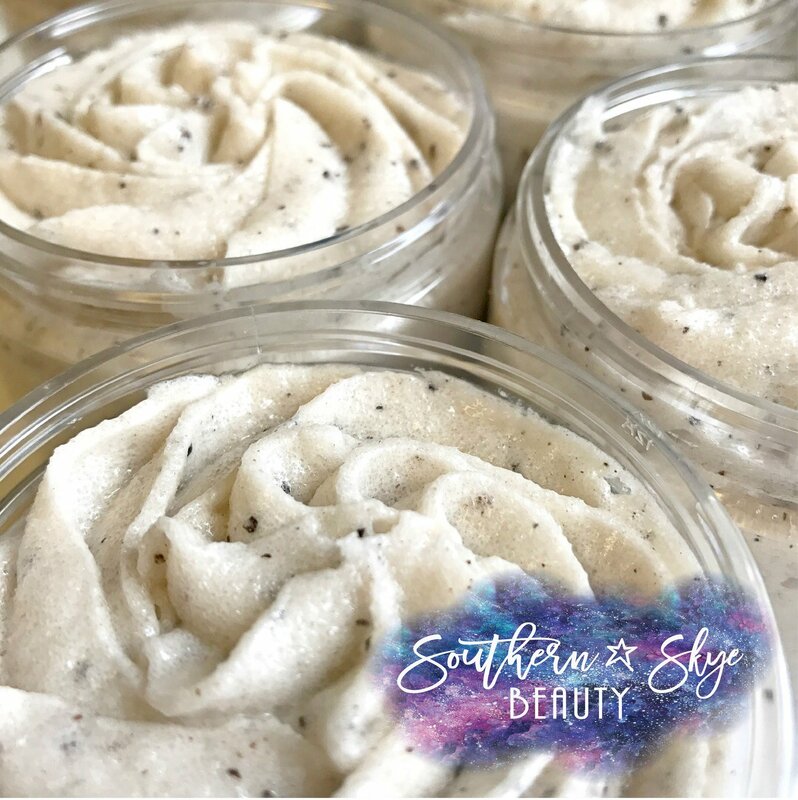 Southern Skye coffee infused emulsified sugar scrub — Ooh this whip is SO good! I am not typically a coffee scrub fan (or a coffee fan in general) but I really loved the emulsified whip of this sugar scrub. Made me want to try other Southern Skye products! 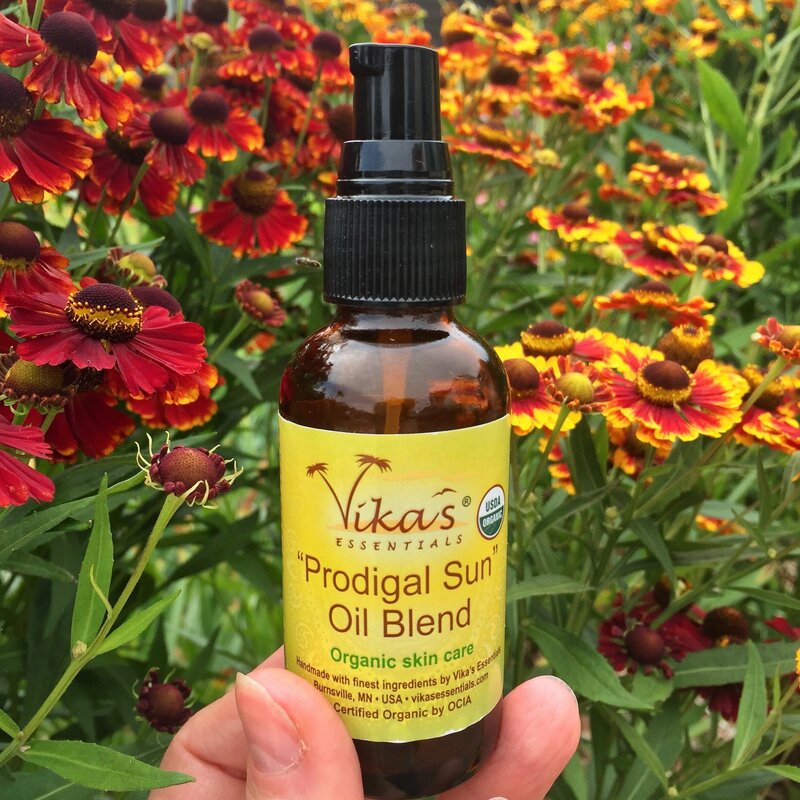 Vika’s Essentials “Prodigal Sun” oil blend — For most of my life I lived in sunny places but didn’t appreciate or understand the essential need of sun care and protection. Now I live in a cold place and the moment I expect sun exposure, I’m layering on the sunscreen! This oil blend involves chamomile, carrot seed and lavender essential oils, cold pressed sesame seed oil, coconut, tamanu, rosehip seed and sea buckthorn. They recommend it for before and after sun exposure, or as a daily moisturizer to relieve redness and dry skin. It sinks in beautifully. Immediate love! 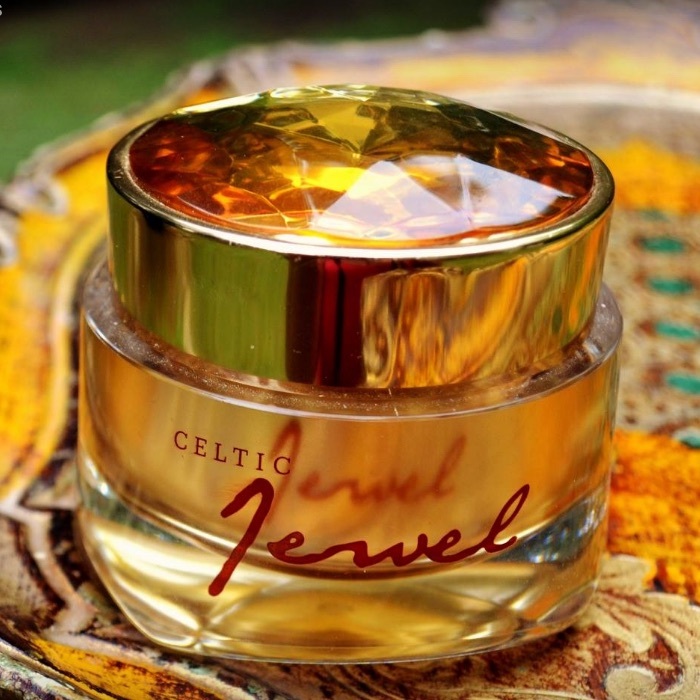 Celtic Jewel by Celtic Complexion Luxury Artisan Skincare – This product is undeniable. The packaging on this is NEXT LEVEL. Crafted in Raleigh, North Carolina, this complexion crème is display worthy. Formulated with vitamins, essential fatty acids, bio fermented sea kelp and CoEnzyme Q10. I feel decadent when I use it and it makes my skin look and feel luxurious. ArtiSun Face Puck daily moisturizer – super rich and excellently moisturizing, this “face puck” has great ingredients, including vegetable glycerin, Cupuacu butter, kokum butter, coconut oil, jojoba oil, mango butter, liquid shea, avocado oil, argan oil, and select essential oils. Plus the packaging is perfect for travel! 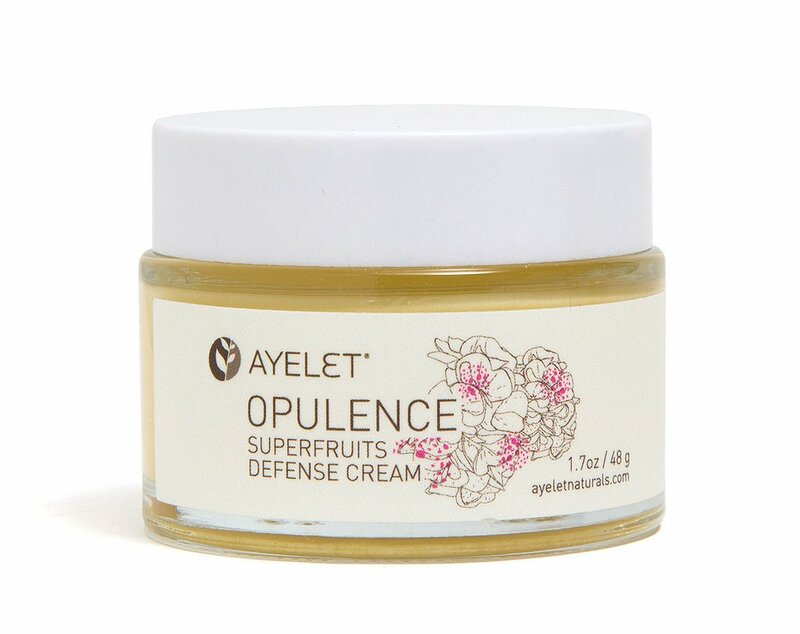 Ayelet Opulence Super Fruits Defense Cream — This cream is all about rehydration and well, opulence! Ingredients like chlorella, sea buckthorn and blackcurrant are intended to provide antioxidants and thereby protect skin from environmental damage and reduce signs of stress and fatigue. 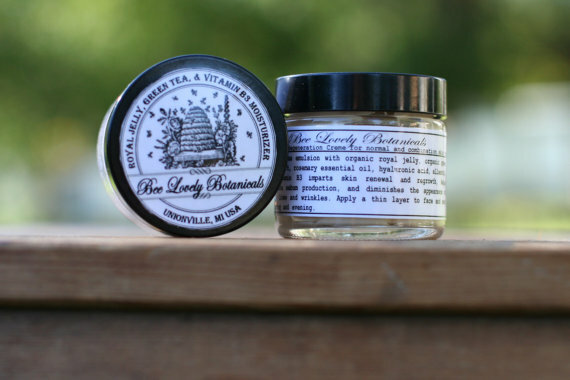 Bee Lovely Botanicals The Royal Treatment face cream – This has quickly become my go-to everyday night cream, and sometimes during this rough winter I’ve been using it during the day! Check out these ingredients – organic royal jelly, organic green tea extract, hyaluronic acid, allantonin, vitamin B3, rosemary and lavender essential oils. It is thick and moisturizing and makes my skin feel nourished from within. Jade Lilly face oil and face mask — I really like this brand and am so glad to have discovered them through these awards! 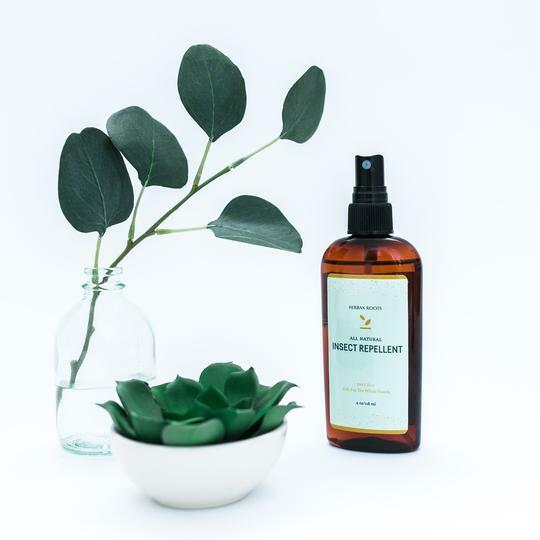 Jade Lilly has slick packaging and exquisite products. The face oil is everything I dreamed it’d be and the face mask is to die for. Their masks come as dry powders you can mix up yourself, with water or your liquid of choice. I LOVE that! I want to try their Tumeric Kelp mask next. 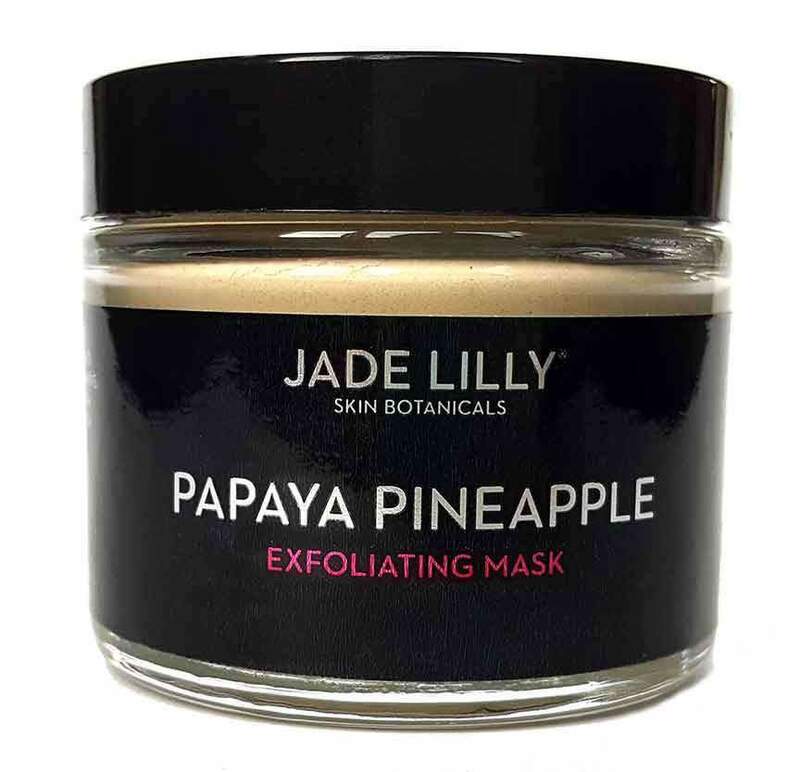 This Pineapple Papaya mask has great enzymes for natural exfoliation and brightness. 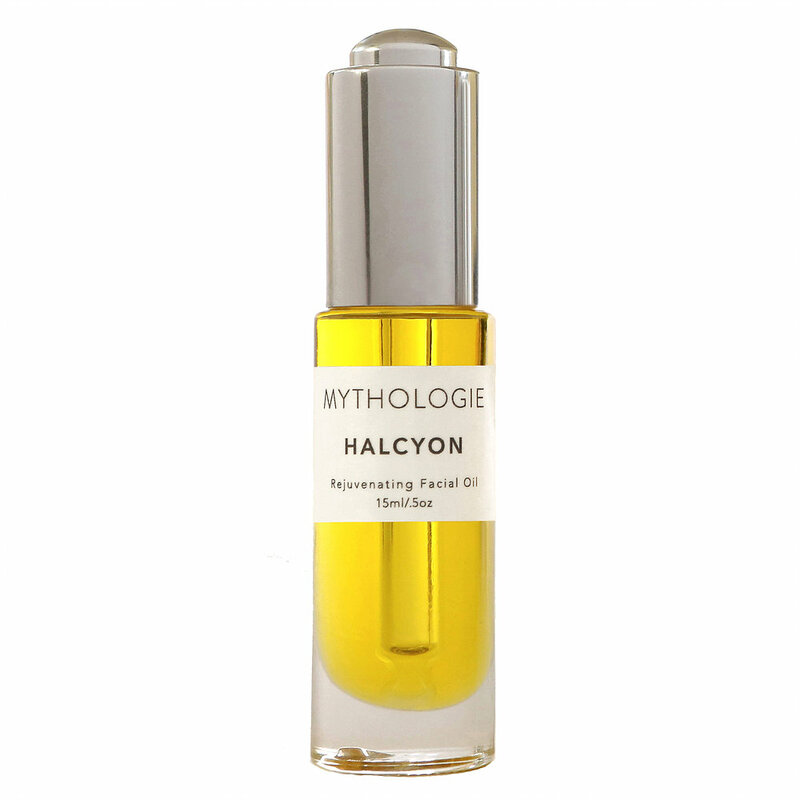 Mythologie HALCYON face oil — If you’re seeking a face oil that will transport you to a fancy spa in your mind, try Mythologie’s HALCYON. It’s named for ” a mythical bird that floats on the sea and has the power to charm the winds and waves into calmness. With each use of this magical blend, heal and rejuvenate your skin while promoting ease and grace.” Indeed. It’s a nourishing blend of oils, from apricot seed and rosehip to avocado and evening primrose. And it smells like decadence while promoting ease and grace. Thanks to the Indie Business Network for asking me, I truly discovered some new brands to follow and love! Click here to follow the Indie Business Network. « Inside My #AfrobellaORS Event — So Grateful For This Special Evening! I was checking my website referrers and noticed that I had a few from AfroBella. I didn’t recognize the site so I popped over and was pleasantly surprised to see your review of our brand under your favorites! I’m so glad that you enjoyed testing our deodorant and insect repellent – it’s so exciting to see how far it’s traveled with our customers! It’s gone quite a ways! Anyway, I just wanted to say hello and thank you for the review!